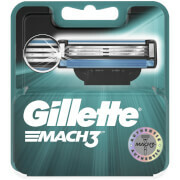 Gillette Fusion5 Power razor for men features 5 anti-friction blades for a shave you barely feel. Battery-powered soothing Micropulses help the Power razor’s blades move effortlessly. The Precision Trimmer on the back is great for hard-to-reach areas and styling facial hair. The lubrication strip fades when you are no longer getting an optimal shave. 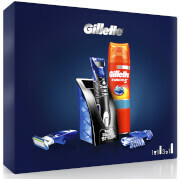 In razor sets, one razor blade refill equals up to one month of shaves. 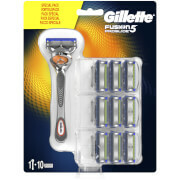 Fusion5 Power men's razor fits all Fusion5 blade refills. 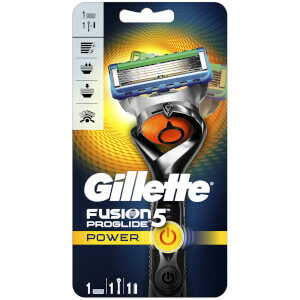 Gillette razors, formerly called Fusion Power. Have tried wilkinson sword with its foldable lubrastrip & this one comes out tops by a small margin due to the fact its more natural to hold, the razor blades last slightly longer. Although I use an electric razor I find not as clean a shave as when I use the Fusion Power razor.